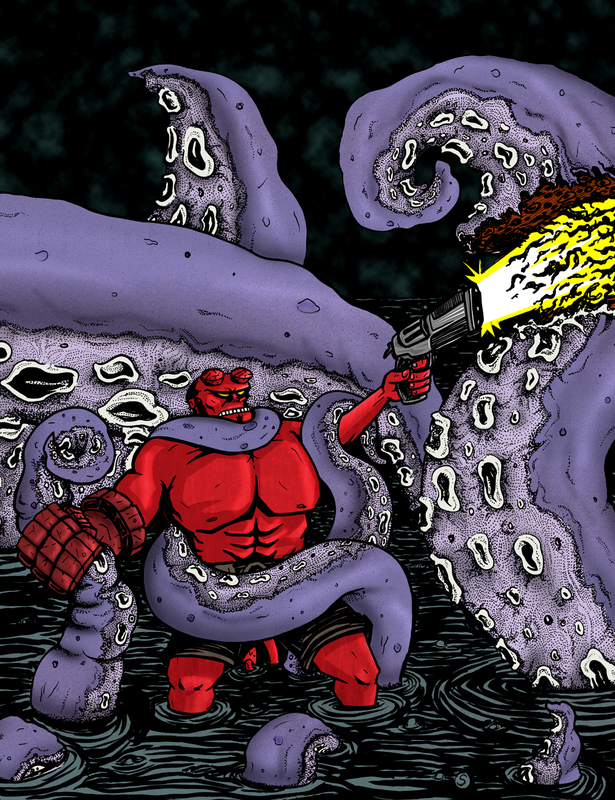 Here is my latest Pummel piece that i started at the Joe Kubert School last month. I did a little stippling in my pen and ink work, and then went to my usual digital colors! I am pretty happy with it! 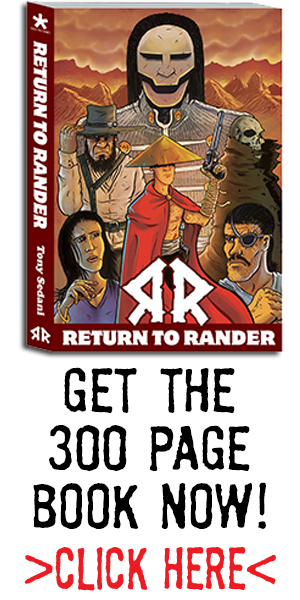 As I said earlier I won’t be doing as much daily sketches for this sketch blog because I will be drawing Return to Rander Issue 1 with all my free time. I decided to create a weekly preview day called “Sunday in Rander”. I will post stuff I am working on from the book to let people follow the progress. 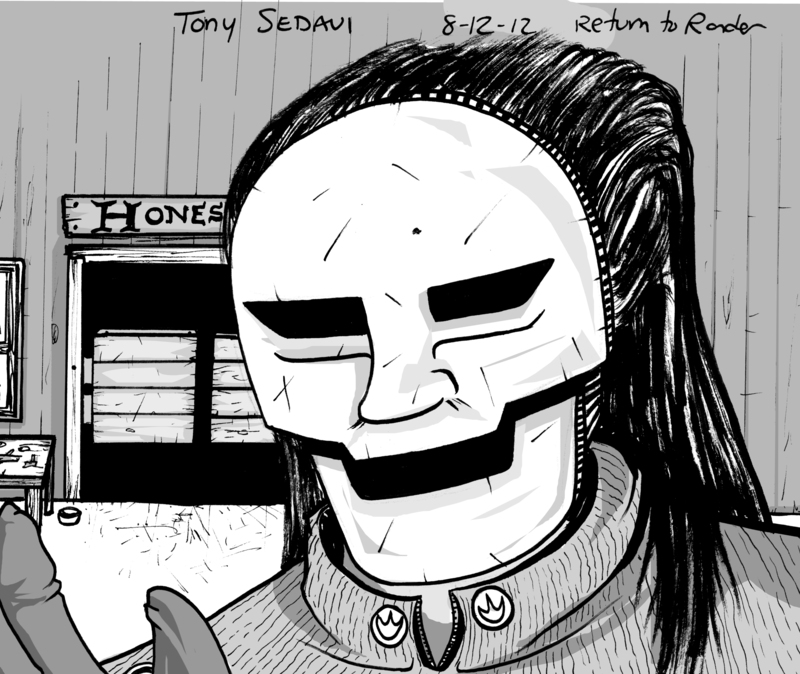 So check back every Sunday for a preview to issue 1, debuting in April! 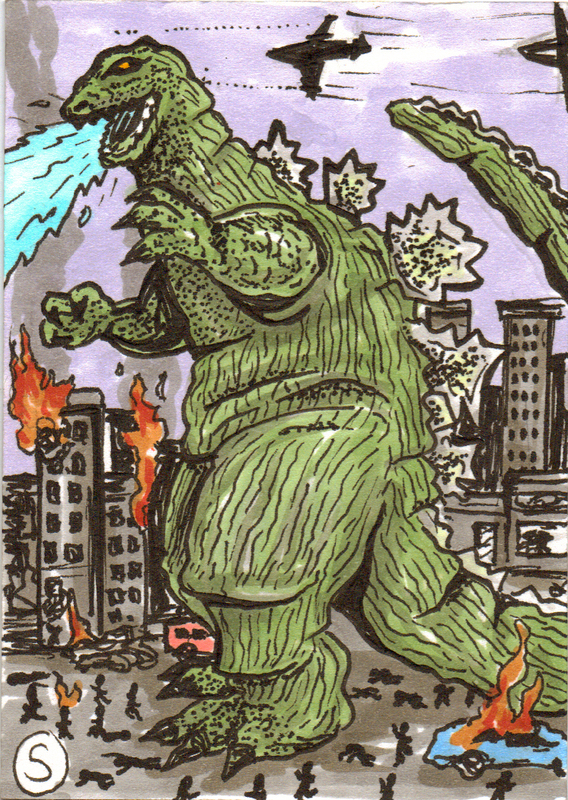 Here is a collection of sketch cards I have done the past few months. Get your own by going into my store and purchasing one! 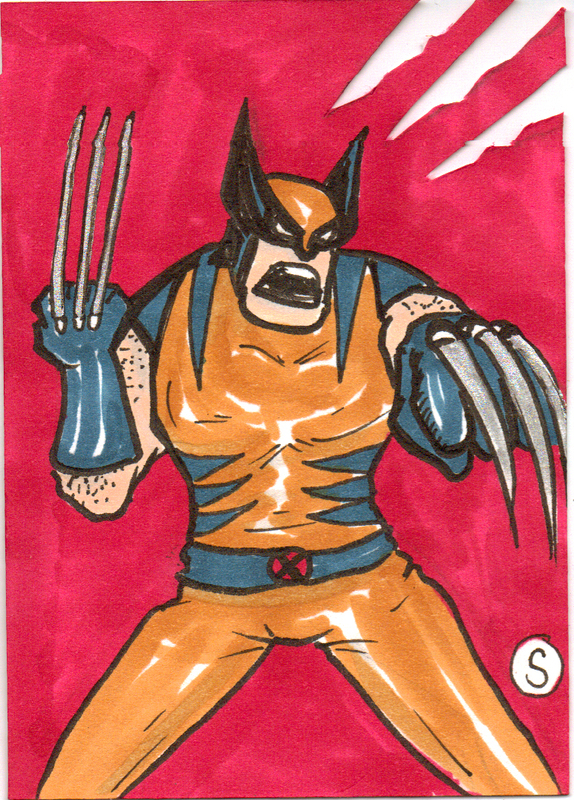 Just a lil sketch card action bub. Super rare die cut version! Here is some more Back to the Future action! 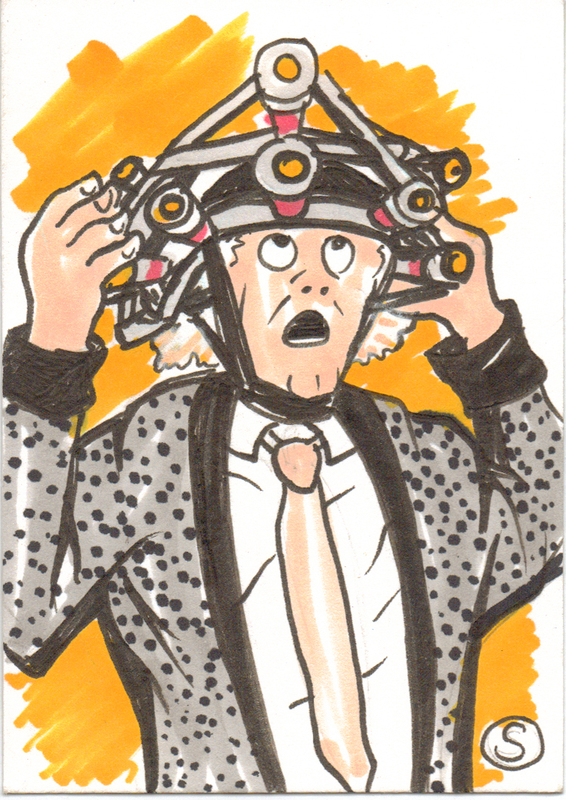 Our beloved Doc Brown! 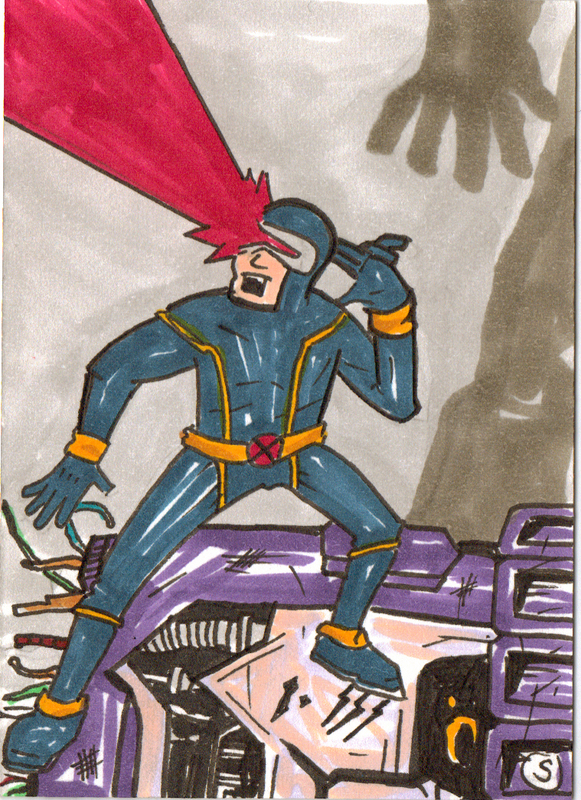 Just doodling over the weekend and made this astonishing x-men cyclops sketch card. 2.5 ” x 3.5 “. I went a little wacky and cartoony with it. 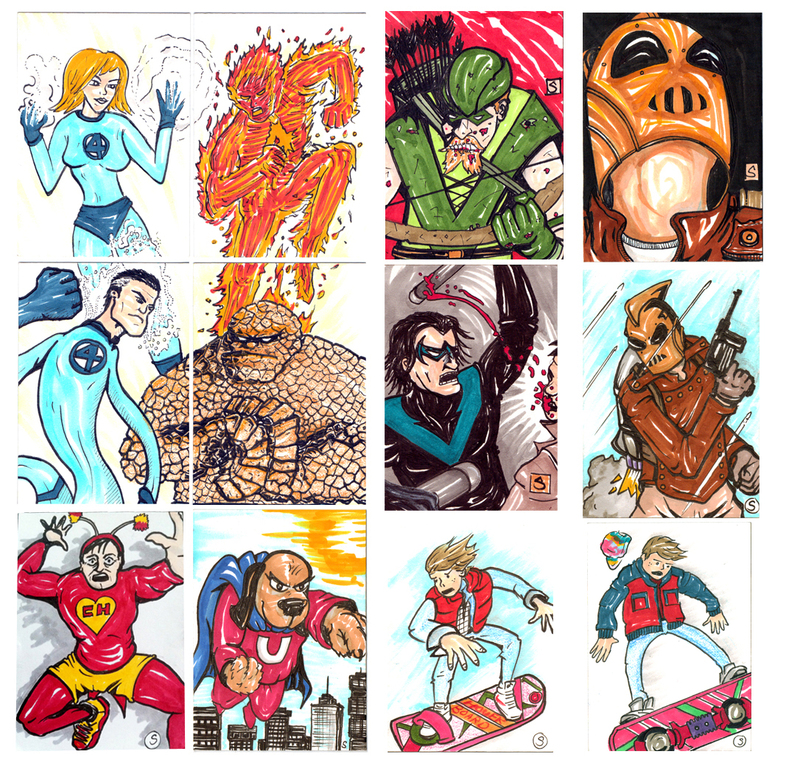 You will probably see more sketch cards from me, they are a good way to sketch everyday and make something tangible that people can purchase.